Claire is a talented and energetic 12-year-old girl who is passionate about all sorts of quirky things. She enjoys horseback riding, playing the piano, visual arts, dancing, and singing. She also loves reading, writing, public speaking, and debating. Once she has a goal, she is always determined to achieve it. Her parents are always very supportive and helpful, and her adorable little brother can always find a way to make her smile. Of course, there’s always that mischievous yet lovable little bunny who likes to nibble and gnaw at the vegetable garden! Yirui has loved performing ever since she was little. A crowd-pleaser, she isn’t afraid to entertain the audience. 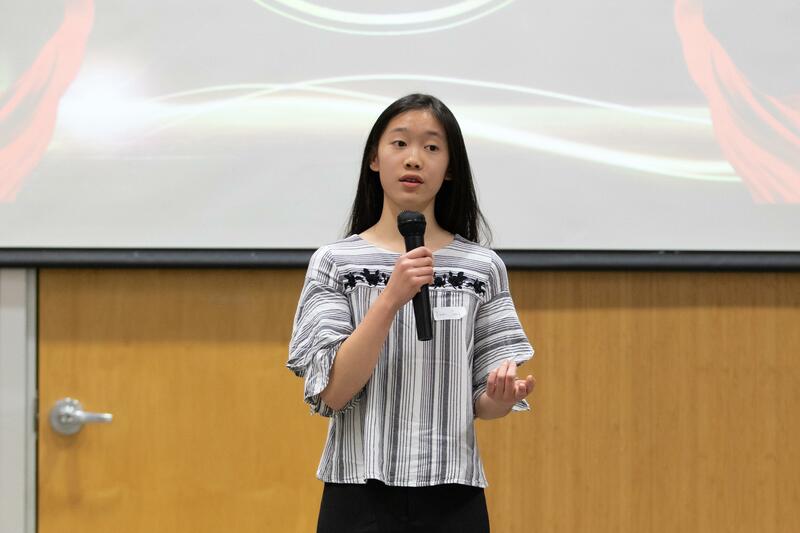 The Vancouver Speech and Drama Festival was Yirui’s debut to speech arts competition. Earning gold in all three of her pieces, she was awarded “Promising Junior Division Performer 2018”. In Grade 5, Yirui presented on Pink Shirt Day at school; in Grade 7, she was nominated for the graduation address. Quite experienced now, she has emceed at the Oakridge Kids Fashion Show, Lansdowne Fashion Show, and Baby and Family Fair Fashion Show. Outside of speech, Yirui enjoys sports, dance, and reading. “If you can speak, you can influence. If you can influence, you can change lives”. - Robert Brown. Meet Hailey Chen! As someone who has grown to love the art of speaking, Hailey has constantly found herself writing and presenting speeches as an outlet of expression. Public speaking has allowed her to become a more confident, knowledgeable, and gregarious person. The topic “Finding My Way” excites her, as she is keen to share her experiences with you. Hailey hopes you enjoy her speech and that it can inspire you to reflect on the great joys of self-love and care. Emma is a very outgoing, creative, and funny person. She dedicates her time to after-school programs and the school's leadership team. She wants to make sure that everything she does is up to her ultimate standards. Emma is always up to new challenges because she feels that life is not enjoyable without some little challenges. She enjoys public speaking, reading, debating, and volunteering. Her favourite sports are basketball, badminton, and tennis. "Hi, my name is Micah Wu. I come from a family of 5, and I have one older brother and one younger sister. My personal hobbies consist of reading, cooking, rock collecting, sewing, and card making. This year at school, we got to take home ec[onomics] and it's been my favourite subject so far. It's really exciting to learn to cook new things and to sew. I also love travelling and exploring the great outdoors, and especially love to go camping with friends every year." Xinye is a 14-year-old boy from Toronto who attends AY Jackson Secondary School. He is a dedicated learner who is interested in public speaking. 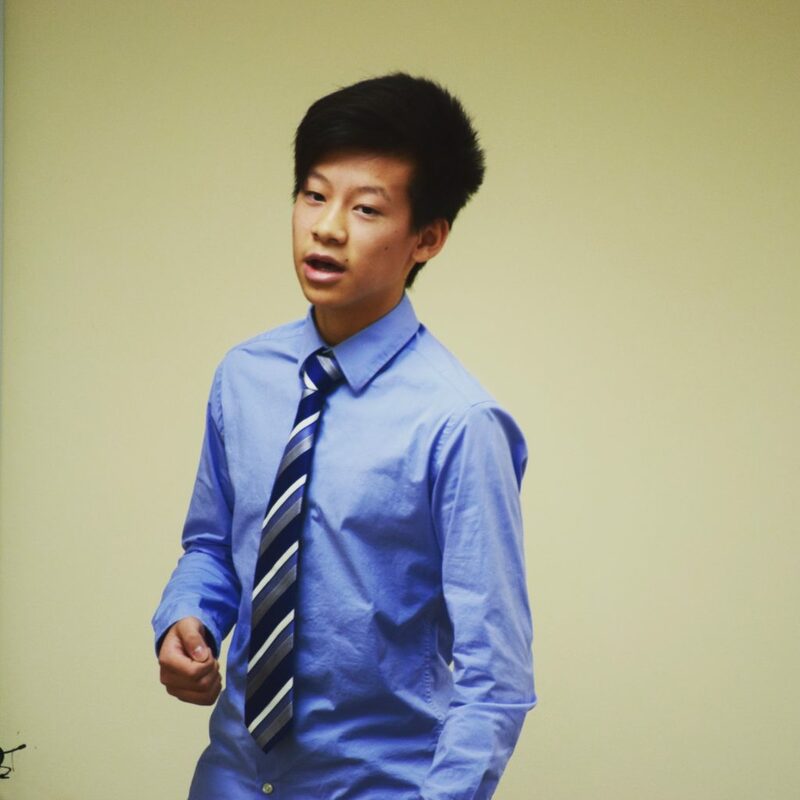 Xinye is rather new to public speaking and formal competitions and hopes to improve his skills by attending the Youth Public Speaking Contest. He is excited to present on what knowledge he has about the topic Finding My Way as this is an exciting and wonderful opportunity for him. Xinye's current favourite hobbies include playing badminton and reading books. While mostly inexperienced with competitive public speaking, he hopes to learn something new with this unique opportunity and hopefully win something as well.